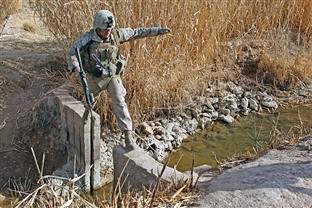 A U.S. Marine Corps Lance Corporal carefully steps across an open causeway to cross a canal during Operation Integrity, in Marjah, Helmand province, Afghanistan, Jan. 15, 2011. I am easily inspired by ideas. Whenever I hear something interesting, exciting, motivating, it’s like a seed is planted in the fertile soil of my soul. It’s always been like this, I think; I’m always on the lookout for the new and novel. I’m interested in a theory or a thought or an action that can improve. Some say that I’m a dreamer. I’m also a doer, though. A great idea is worth little if it’s poorly executed, and it’s worth nothing if it’s not executed at all. Too many times, our own fears, our own doubts, can get in the way of our accomplishments. We find ourselves stuck in a cage of our own construction, trapped by feelings of doubt. There’s one thing that I’ve noticed, both in my military career and in life after the military. Many veterans let their doubt hold them back. We never know what we’ll achieve if we take a shot. Step out in the face of doubt. Move forward with bold and decisive action. How often have you wanted to do something, but didn’t think you had it in you…but when you did it, you found that you DID have it in you? That’s what being in the military was all about, stretching ourselves to the limits of our perceived ability, and knowing that there was much more there. 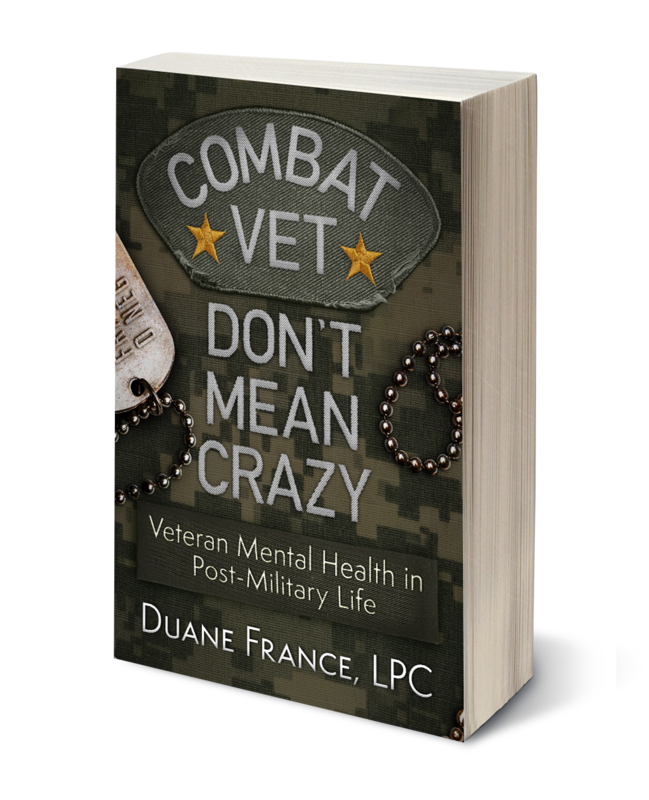 I once had a conversation with a veteran who wanted to write a book. They weren’t certain they could do it, though; it was beyond their ability. The thing was, this veteran also ran marathons. What’s the difference between running a marathon and writing a book? Both begin with one thing…for a marathon, a single step, for a book, a single word…and eventually, if you persist long enough, the thing is complete. The veteran was firmly convinced, however, that it was beyond them, so I gave them a simple task…just a thousand words on the topic of their choice, and I’d help them with it. I’m still waiting for those thousand words. Moving forward in bold and decisive action does not mean not having doubt. There’s always going to be uncertainty about things that we’ve never done before; the step between becoming a dreamer and a doer is to move out in spite of that doubt. What’s the worst that can happen if you reach for something and it doesn’t happen? You don’t get it? Okay. It wasn’t meant to be, pick up and move on. Do you doubt that you can get into Yale or Stanford? Perfectly understandable if no one in your family has ever been to college, much less some of the most prestigious universities in the country. But does your doubt make it true? Organizations like Service to School exist to help service members do that exact thing…gain admission to the best college or graduate programs possible. As Patton said, “a good plan violently executed now is better than a perfect plan executed next week.” If we wait until all conditions are perfect to put our ideas into place, then those ideas will continue to sit on the shelf. One thing I often hear from veterans is that they don’t want to get turned down, they don’t think they can handle the rejection. If that’s what we believe, then that’s what’s going to be true. If we turn it around, though, and think that we CAN handle the rejection, that if the answer we get back is “no” and we’re as okay with it as if the answer was “yes,” then we’re more likely to get a yes in the future. Or at least not lose out on the chance to receive a yes. One of the best things that happened to me was to receive a scholarship in 2015. Not because it gave me money, which allowed me to purchase the nifty machine I’m using to write this, but because it gave me a mentor. Every single measure of my success, in my opinion, is due directly to my mentor, Dannette Patterson. The scholarship was for veterans who were studying to be mental health professionals. Seems like a shoe-in, right? Except that I was turned down for the scholarship in 2014. And I had applied to be a Tillman Scholar before that, and not selected. 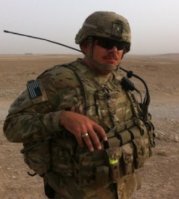 If I told myself no…that there was no way that I would be selected as a Tillman Scholar (which was true, or at least it was that year), or that if they told me no once, they’ll tell me no again, then I wouldn’t be where I am today. We will never know what we can achieve until we try. There are some things that we’re certain we can do, and they’re within the limits of our ability. But what could we achieve through an audacity of the imagination? If we were bold enough to dream, plan, and then do? Testing the limits of what’s possible will help us achieve what we thought was impossible. It doesn’t have to be anything huge, but it does have to be something; and if we can get one crazy idea to work out, then the dream becomes reality. I’m a veteran, been one for close to thirty years. I have ptsd, not from combat though. Mine walked in the door every afternoon and in the end with the assistance of my own commander would take my child, possessions and home. I fought my way through and end the end showed my worth. Through my actions I gained the respect of my command and fellow soldiers. But thirty years later I relive the whole thing and still find myself lacking. Rhonda, thank you for the comment! It is certainly challenging to get out of situations like that, but glad to hear that it ended with respect from your peers and superiors. Thank you again for your support, your response, and for your willingness to share. If there’s anything I can do, let me know!